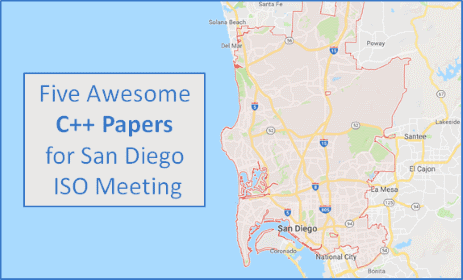 Here’s my list of five exciting papers that will be discussed during the meeting. I tried to pick something less popular, and usually smaller than significant features like modules, concepts or ranges. Before I show you the list, it’s a good chance to mention what’s already voted into C++20. One of the plans for future C++ is the ability to call most of the things… or even all of the things at compile time. Currently, we have constexpr that you can apply in many places, in C++20 there are also algorithms that will be constexpr (see P0202), but still there are some complications with advanced code - especially regarding allocations, exceptions and few other issues. They are all based on More constexpr containers- P0784. Dynamic allocations inside containers. With new at compile time, the compiler would allocate memory and then “write” it into the binary segment of a program. Structured Bindings are a bit magical at the moment. x, y, z are just names ( or bindings) and they are a bit restricted. You cannot use them as real variables. For example, you cannot declare them as static, use them in lambda captures or make it constexpr. 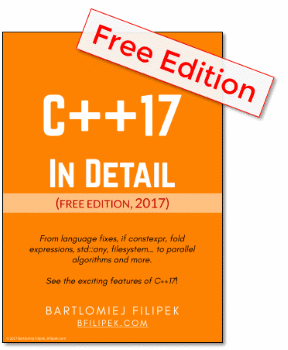 This seems to be a compelling technique and a lot of people complain that C++ has no support for such expressions. The idea is the following: multiple operations on unordered containers make sense only if that container is not concurrently modified. A user may take the responsibility that no-one is modifying the container at this point and gain all the operations and iterators. 2D Graphics Back Again! P0267 & P1200 - the paper is not dead, and there are still discussions around that! I’m waiting for the cppcon 2018 talk from Guy Davidson describing the library. It’s easily available in vcpkg, and I really need to try this library out soon. Reading papers is actually another way of learning C++. A lot of documents have proper introductions and reasoning so you can learn about the current limitations of the language and the library. As I mentioned, in the beginning, my list is very subjective. And I only picked a few papers out of 250+! I’d be interested in your picks. What got your attention? What would you like to see in the new Standard?